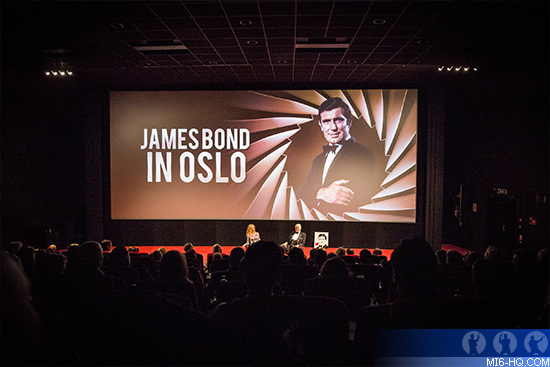 Last week, MI6 was fortunate enough to attend the James Bond in Oslo red carpet gala event, held on the 1st of September. Former 007, George Lazenby, was the guest of honour and introduced a special screening of 'On Her Majesty's Secret Service' in beautifully restored digital 4K. Four former Bond Girls were also in attendance: The utterly charming Martine Beswick, who appeared in both 'From Russia With Love' and 'Thunderball'; the stunning Caroline Munro from 'The Spy Who Loved Me'; the ever stylish Maryam d’Abo from "The Living Daylights"; and the stunning Serena Scott Thomas from 'The World Is Not Enough'. 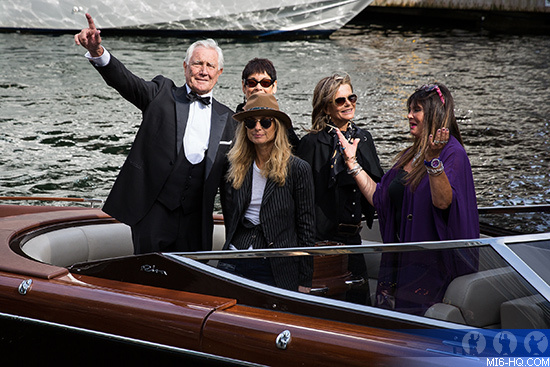 Lazenby arrived with the Bond Girls at the event - organised by James Bond Norway's Morten Steingrimsen, along with Odd Kalsnes and Øyvind Asbjørnsen - by water in a stunning Aquariva motor boat. For the occasion, George Lazenby was once again transformed into the dashing British secret agent, James Bond, dressed in a classic three-piece dinner suit cut by master tailor David Mason for Anthony Sinclair. It is well known that Lazenby visited Anthony Sinclair when he was attempting to sway the producers for his audition as James Bond 1968. Unfortunately, Lazenby was unaware that a bespoke suit would take around six months to produce, however, just as he was leaving the tailor mentioned that there was a checked suit that Sinclair had made for Sean Connery that Connery did not want. Lazenby happened to be a similar size to Connery, so Sinclair lengthened the sleeves and sold the suit to Lazenby. After strapping a Rolex Submariner to his wrist and getting a haircut at Connery’s barber, Lazenby furtively made his way into the EON offices and announced "I hear you're looking for James Bond." The rest is history. Following their arrival a Q&A session with Lazenby and the Bond Girls was held at the stylish The Thief Hotel in Oslo - truly a fitting location for James Bond. 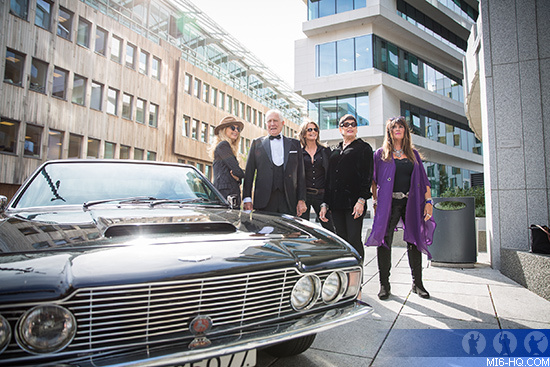 In the evening, a gala screening of "On Her Majesty's Secret Service" was shown at Oslo's Vika Kino, where the Bond Girls arrived in a convertible Rolls Royce, paying tribute to the vehicle driven by Marc-Ange Draco in the film. 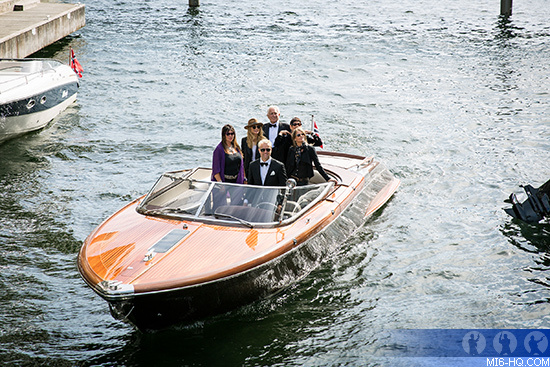 Lazenby also arrived in style in a beautifully restored 1969 Aston Martin DBS, the only one of its kind in Norway. Before the screening, Maryam d'Abo held a Q&A session with George Lazenby, giving the audience insight into how he secured the role and his life after 007, including his time with Bruce Lee in Hong Kong. Seeing the digitally restored film on the big screen was a particular treat, with Lazenby remarking he hadn't seen the film since its original theatrical release. 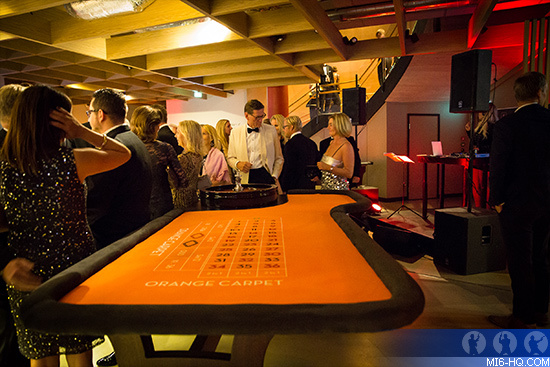 An after party followed the screening with DJs, a roulette table, champagne flowing, and guests dressed in their best finery. It truly felt like a scene from a James Bond film. Oslo itself is a stunning city and it is a wonder that it hasn't featured as a Bond location before. After this second successful Bond event held in Norway's capital, one can only hope that this is remedied in the future.